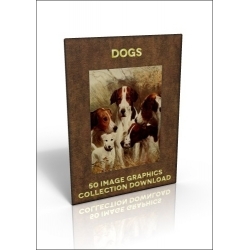 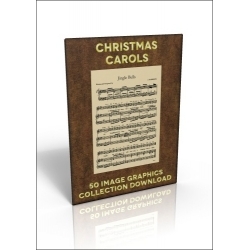 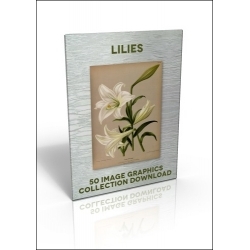 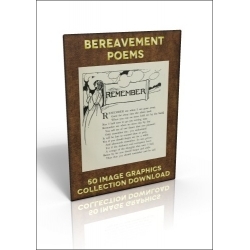 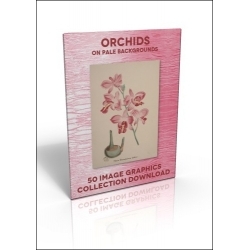 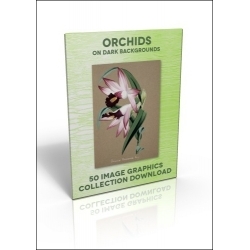 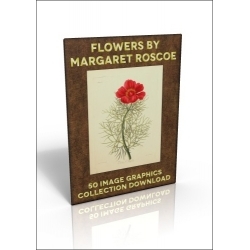 Download Graphics Collections There are 57 products. 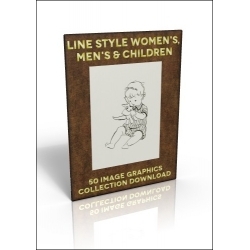 Artists featured are Seurat, Signac, Toulouse-Lautrec, Van Gogh, Vuillard and Albert Weisgerber. 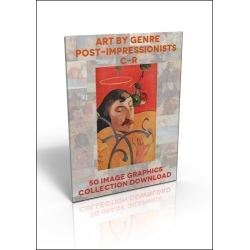 Artists featured are Cézanne, Gaugin, Charles Guérin, La Touche, Labasque, Morillot, Pissarro, Redon and Rysselberghe. 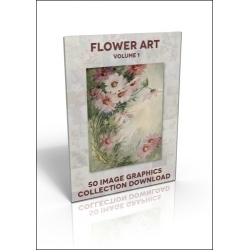 Artists featured are Childe Hassam, Isaac Israëls, Claude Monet, Berthe Morisot, Leo Putz, Pierre-Auguste Renoir and Alfred Sisley. 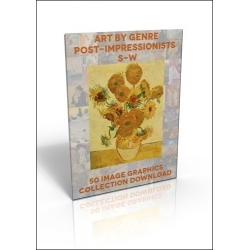 Artists featured are Albert Besnard, Jacques-Émile Blanche, Felix Borchardt, Louise Breslau, Mary Cassatt, Paul Cézanne, George Clausen, Lovis Corinth, Joseph de Camp, Edgar Degas, Jean-Louis Forain, Frederick Frieseke, Armand Guillaumin and Antoin Guillemet. 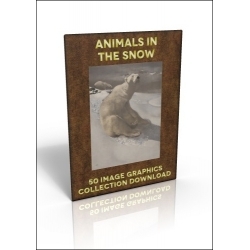 Artists featured are George Bellowes, Rosa Bonheur, Boudin, Caillebot, Corot, Eakins, Winslow Homer, Wilhelm Liebl, Manet & Millet. 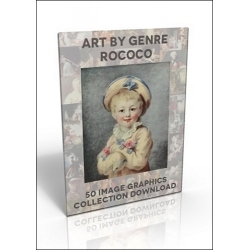 Artists featured are Boucher, Carriera, Chardin, Fragonard, Le Brun, Nattier, Pater, Tiepolo and Watteau. 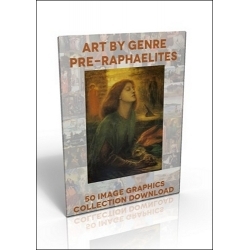 Artists featured are Madox Brown, Burne-Jones, Holman Hunt, Millais, William Morris & Rossetti. 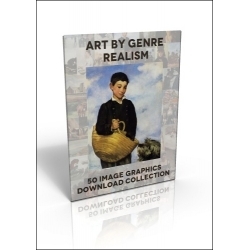 Artists featured are Constable, Crome, Delacroix, Friedrich, Gainsborough, Géricault, Goya, Lawrence, Runge and Turner. 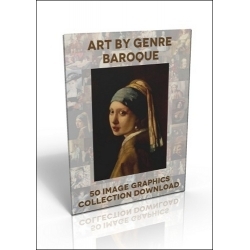 This themed downloadable image collection contains 50 great-quality beautiful paintings from the Baroque and Golden Age period, 1600-1730, all of which can be used for practically anything you want to, as many times as you like, without paying royalties or commissions to anyone! 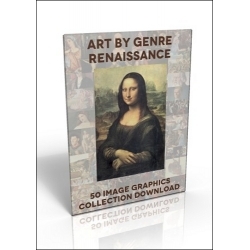 Artists featured are Bellini, Botticelli, Bouts, Caravaggio, Corregio, Da Vinci, David, Dürer, El Greco, Fra Angelico, Holbein, Lippi, Matsys, Memling, Perugino, Raphael, Tintoretto, Titian, Van Eyck and Van der Weyden. 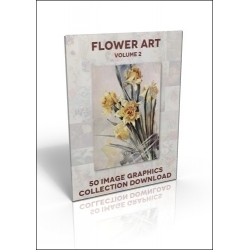 This themed downloadable image collection contains 50 great-quality illustrations of beautiful watercolour flowers, all of which can be used for practically anything you want to, as many times as you like, without paying royalties or commissions to anyone! 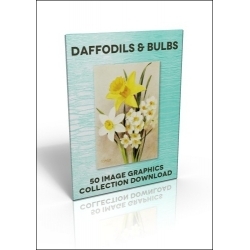 This themed downloadable image collection contains 50 great-quality illustrations of beautiful daffodils and flowering bulbs including hyacinths, tulips and crocuses, all of which can be used for practically anything you want to, as many times as you like, without paying royalties or commissions to anyone! 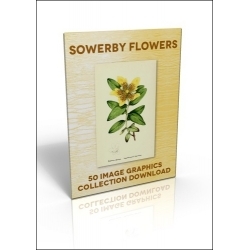 This themed downloadable image collection contains 50 great-quality flower illustrations by botanical illustrator and naturalist James Sowerby (1757-1822), all of which can be used for practically anything you want to, as many times as you like, without paying royalties or commissions to anyone! 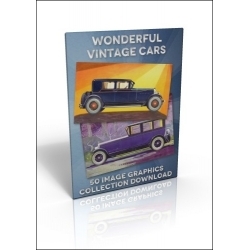 The images in this collection are mostly from vintage car adverts and show these glorious motors in wonderful vintage style - fabulous for men's cards, prints, postcards and other products. 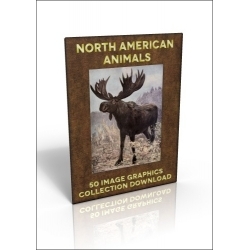 This themed downloadable image collection contains 50 great-quality, high resolution, snowy animal and bird illustrations, all of which can be used for practically anything you want to, as many times as you like, without paying royalties or commissions to anyone! 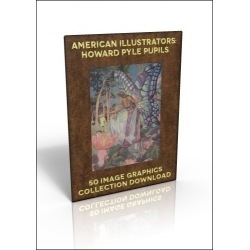 The illustrations in this collection are by pupils of Howard Pyle, who ran his own school of art and illustration in the early 20th century. 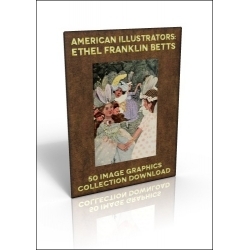 Notable pupils of his include Jessie Willcox Smith, Newell Convers Wyeth and Ethel Franklin Betts, all of whom have dedicated graphics collections. 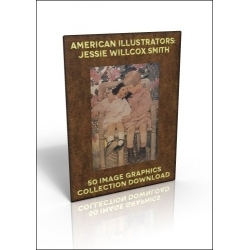 The illustrations in this collection are by Newell Convers Wyeth (1882-1945) who was a pupil of Howard Pyle. 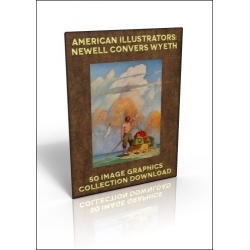 Wyeth created over 3000 book and magazine illustrations during his career - his first book, Treasure Island, was his masterpiece and proceeds from this paid for his studio. 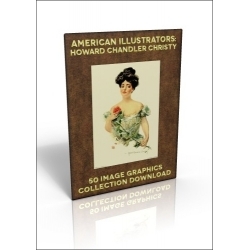 All of the illustrations in this collection are by Howard Chandler Christy (1873-1952) who was an American artist and illustrator, famous for the 'Christy' girl. 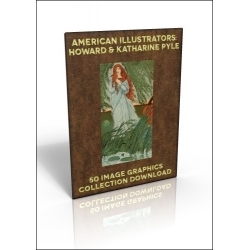 Christy was born in Ohio and studied in New York at the National Academy and the Art Students' League. 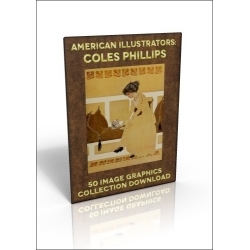 All of the illustrations in this collection are by Harrison Fisher (1877-1934) who was an American illustrator. 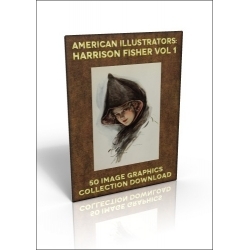 Fisher was born in Brooklyn, New York City and began to draw at an early age. 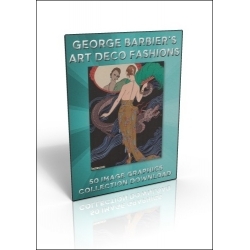 Both his father and his grandfather were artists. 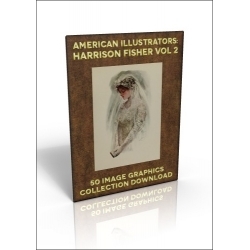 Fisher spent much of his youth in San Francisco, and studied at the San Francisco Art Association. 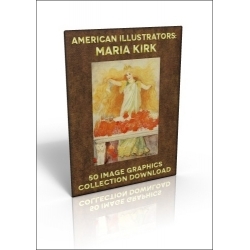 All of the illustrations in this collection are by Maria Louise Kirk who was born in Pennsylvania, USA in 1860, studied art in Philadelphia and died in the 1930s. This themed downloadable image collection contains 50 great-quality line drawings, all of which can be used for practically anything you want to, as many times as you like, without paying royalties or commissions to anyone! 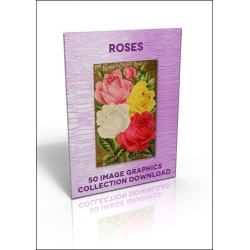 Use them to create digital stamps, as embroidery templates, children's colouring projects and much, much more! This all-woman themed downloadable image collection contains 50 great-quality line drawings, all of which can be used for practically anything you want to, as many times as you like, without paying royalties or commissions to anyone! 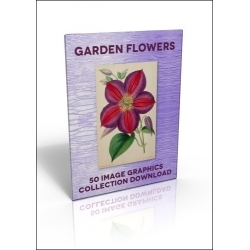 Use them to create digital stamps, as embroidery templates, children's colouring projects and much, much more! 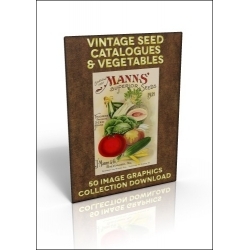 Just think, you can create your own seed-packets from many of the images in this collection, perfect for making lovely gifts from those precious seeds from your allotment or garden. 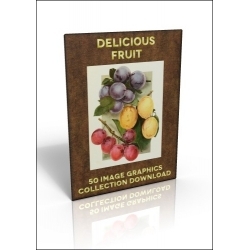 Or why not create beautiful hand-made labels for your produce to sell at farmers' markets and fairs? 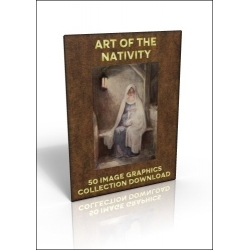 There is a mixture of more cutesy nativity scenes taken from children's book illustrations in this downloadable collection, as well as fine art images for a more grown-up approach to Christmas! 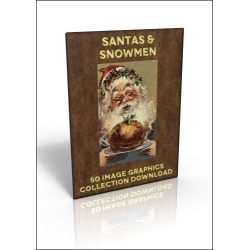 Wise men and shepherds also feature here. This downloadable poetry collection contains 50 specially-selected Christmas poems, all of which can be used for practically anything you like without paying royalties or commissions to anyone! 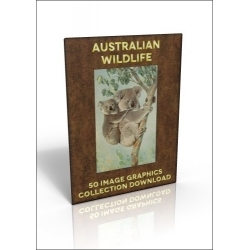 Images in this Australian Wildlife collection range from 822 pixels wide/tall to 3335 pixels wide/tall and you will get a variety of animals and a few flowers. 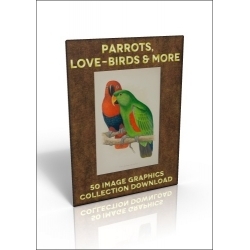 Includes kangaroos, a koala, cockatiels, an ostrich, a Tasmanian devil, duck-billed platypuses, butterflies and loads more.